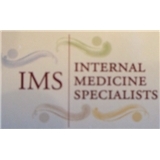 Internal Medicine Specialists (Las Vegas) - Book Appointment Online! Please complete paperwork & BRING INSURANCE CARDS to avoid delays. We provide for the primary medical needs of adults except annual gynecologic exams. In addition to our six physicians, we also have convenient diagnostic capabilities like x-ray, ultrasound and cardiac testing services. We understand the importance of health, which is why we are committed to ensuring your care is met with continuity whether you’re managing a chronic condition or when it may be necessary for you to see a specialist. At Internal Medicine Specialists we believe that true wellness considers more than just the treatment of disease but the prevention of illness through diet, nutrition as well as enhancements that reflect your vitality. If you’re affected by acne, sun-damage or aging skin, we can help you manage it medically as well as cosmetically with our in-house laser care. Everyone was welcoming. They listened to my concerns and started testing that could be done immediately. They set up dditional tests as I wanted. Have found the medical team that I have been searching for since I moved here seven years ago.